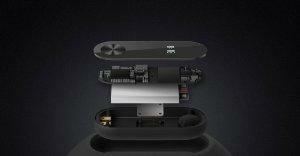 Mi Band - HRX edition uses an OLED display so you can see more in a single glance. Simply lift your wrist to view time and tap the button for steps, distance covered and calories burnt. 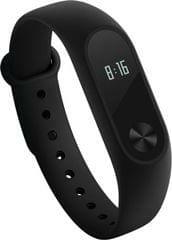 The improved pedometer algorithm in Mi Band - HRX edition filters out unnecessary movements. This measures steps taken and exercise more accurately. Idle alerts send a gentle buzz when you have been sitting still for too long. These reminders tell you when it's time for a short walk or a water break. MI Band - HRX edition carries your unique identity. 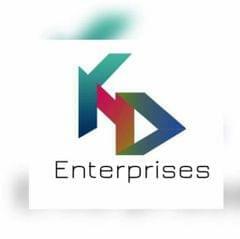 When you are close to your Android smartphone, it unlocks your smartphone instantly - no passcodes or fingerprint required. Send notification alerts straight to the wrist so you don't miss another call, message, or notification - especially when your phone is tucked away in a bag or pocket. Rinse hands or shower with Mi Band - HRX edition without any worries. 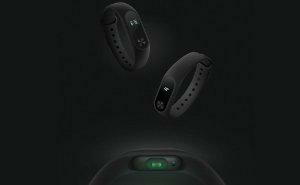 Mi Band - HRX edition is durable and resistant against water splashes, sweat, cosmetics, dust and more. The glossy black display is UV coated and resistant to scratches and fingerprints. Textured for a better touch, the anodized button has 0.05mm ripples etched across the surface, in a pattern similar to that on CDs. See more using the power-efficient OLED display. Simply tap on the button to check time and your latest stats. Note: Mi Band's phone unlocking feature requires smartphones with MIUI or Android 5.0 and above. Devices with Android 4.4 and above, such as Mi 3, Mi 4, Mi 4i, Mi 5, Mi Max, Redmi Note 4G, Redmi Note Prime, Redmi 1S, Redmi 2, Redmi 2 Prime, Redmi Note 3, Redmi 3S, Redmi 3S Prime, Redmi 3S+, Mi A1, Mi Max 2 Devices with iOS 7.0 and above, such as iPhone models 4s and later. Note: Product does not include heart rate monitor/ sensor. The new version of Mi Band HRX has an OLED-display and a touch panel, which will make more information available to you. You can find out the detailed information about the covered distance, time, body temperature and many other useful data with just one touch of a finger. Smart technology responds to your movements. 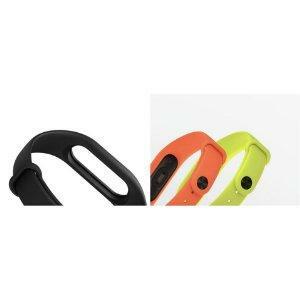 As soon as you raise your hand, the bracelet will display the current time easily and conveniently. Fitness tracker and watch two in one. In comparison with the previous generation photosensitive version of Mi Band, the new pedometer Mi Band HRX is based on the new hardware platform. Now, every step you take will be clearly displayed on the screen, so you can track your progress every day. In order for you not to sit still for too long while you work or read, the fitness tracker Mi Band HRX has a reminder system. The device will alert you that it’s time for a warm-up, which will help to improve your blood circulation and to increase your productivity. You can customize the notification interval by yourself, and the Mi Band HRX will vibrate informing you about the next short workout or a walk in the fresh air, which will allow you to get a new charge of health. Using a smartphone on the Android platform, you can set up your own account in order to unlock the Mi Band HRX in a flash with just a fingerprint. Calls and messages. Vibrating alert through the application. When the smartphone receives an incoming call, a message or a notification, the new Mi Band HRX will vibrate, even if the phone is busy at the moment. 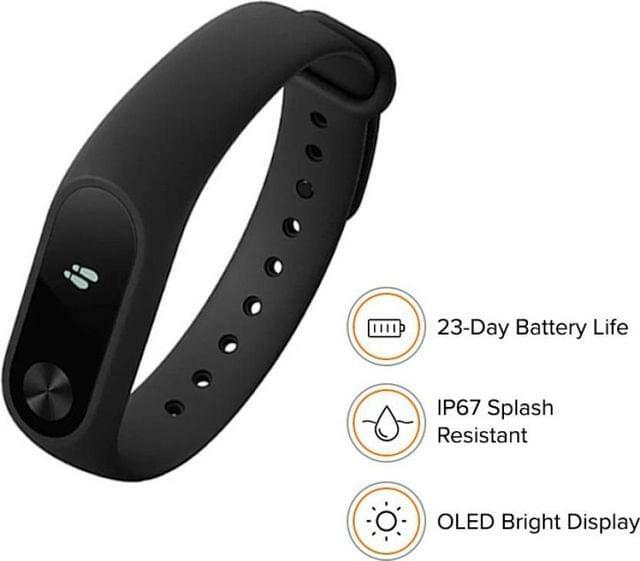 Take a shower or walk in the warm summer rain without worrying about the operation of your Mi Band HRX, because the international standard protection level IP67 makes this fitness wristband waterproof and anti-dust. The tracker is also well protected from sweat, oil and other corrosive agents. Behind the perfect look of a band there are hidden the unique innovative technologies, which are ergonomically placed in the panel, created using the ultra-precise injection molding and UV treatment. Thanks to this manufacturing technique the surface of Mi Band HRX is scratch and fingerprint resistant. Thanks to the integrated OLED-display you can access the data with one touch of a finger. At the same time the energy-saving smart technology will allow you to use the tracker for a long time without recharging. 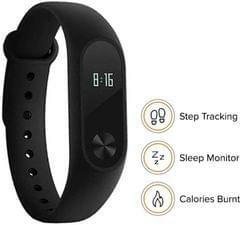 The new design Mi Band HRX has a locking ring that reliably fixes the tracker, so you will not lose it during intense exercise or other activities. Furthermore, the strap clasp has a seamless construction, which also reduces the likelihood of losing the tracker. The new material, from which the Mi Band HRX is made, is softer to the touch, so that the contact part of the wristband will give you pleasant tactile sensations while wearing. The environmental-friendly hypoallergenic material of Mi Band HRX does not block the skin breathing, which reduces the likelihood of discomfort under the strap. 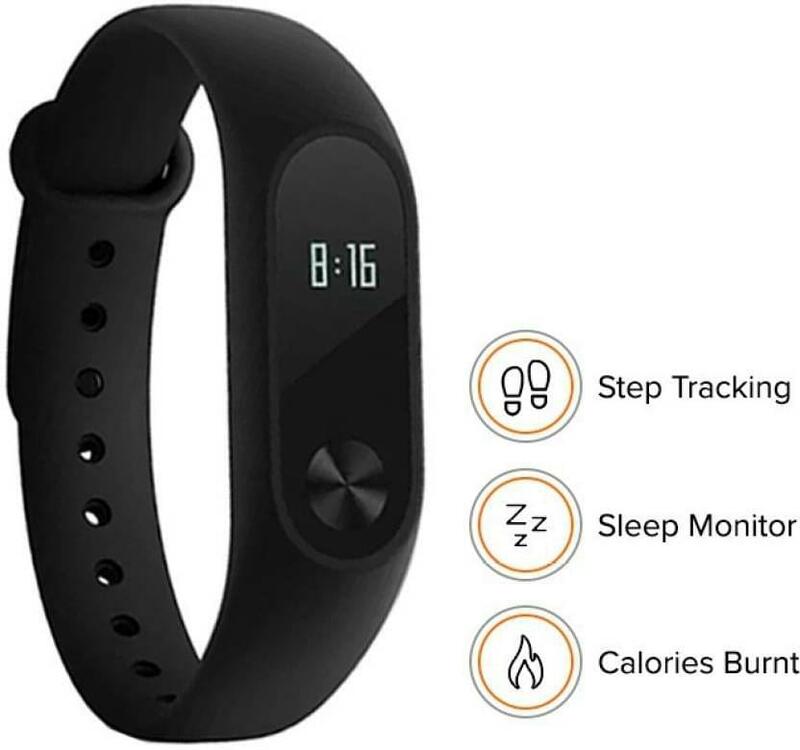 An updated application to the fitness tracker Mi Band HRX is more optimized, so it more accurately tracks your steps, phases of sleep, weight, etc. The extended data in the “Statistics” menu will enable you to learn more about your body, as well as to view all the characteristics for a certain period - A day, a week, a month. This enables you to see your progress, which will inspire you to move forward.